Christian Actress Yvonne Orji Shares Prayer She Used to Attract Her New Boyfriend Emmanuel Acho! So almost a year ago, my interview with HBO “Insecure” actress Yvonne Orji, a devout Christian, was published for THE LOOKOUT. I interviewed her about her TEDx talk she gave about celibacy as she decided at 17 years old to be celibate due to her Christian faith and was still a virgin at 34 years old. You can read the entire article at: lookoutmag.com. When I interviewed her, it seemed that she didn’t have a boyfriend, but as of May, babay, according to Yvonne’s Instragram page, her status has changed! Whoop, Whoop! This is how she announced it…. Jesus out here answering prayers on a Sunday. Even though I’m proud of the work we did in Nigeria this summer, I know we left way too many patients unattended to. Our short stay there was not enough to treat all of the country’s ill and afflicted. Living Hope Christian Ministries has set out to build a real clinic in the Isuikwuato, Nigeria that would cost roughly $2 million — and we’re almost there. But unfortunately, when funds stop coming in, the building stops going up. We need a real clinic, we need a real staff and we need your help. In my profession, my goal is to hoist the Lombardi trophy, but in my everyday life, my goal is to save lives. To help us accomplish our goals, visit LivingHopeMinistries.us. Read about the rest of his experiences at theplayerstribune.com. He sounds like marriage material and from what Yvonne is posting on her Instagram right now, things look they are heating up! I’m not sure if they are baecationing together, but as of now, according to social media, they are in Puerto Vallarta, Mexico! So did God answer her prayers or what? From the looks of things, a marriage proposal may be on the way. And did you pray specific prayers about a mate? I did! Were they answered? Mine were! 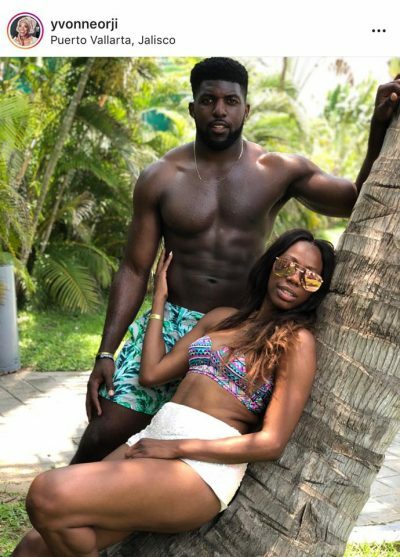 Yvonne Orji and Emmanuel Acho seem like a perfectly matched couple! I can’t wait for the Nigerian wedding!!! 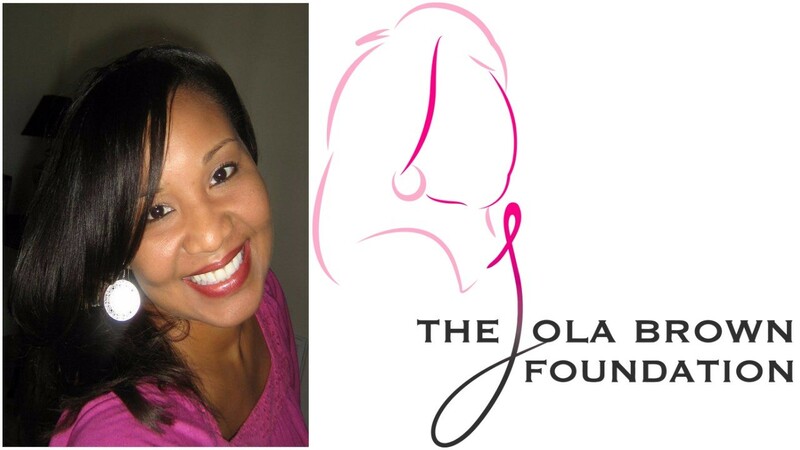 The Lola Brown Foundation Continues to Make Strides Against Breast Cancer! Lola Brown, a native of Denver, Colorado grew up in Columbia, South Carolina. She attended Richland Northeast High School. While in school, she received honors to attend the South Carolina Governor’s School for academics and was named to the South Carolina All-State Band. You could also find Lola on the court scrambling for digs for the volleyball team or shooting hoops with her varsity basketball teammates. She graduated from Richland Northeast High School with honors and received a music scholarship to attend the University of Georgia. While at UGA, she joined Delta Sigma Theta Sorority, Inc. where she participated in various community service activities. Lola was talented and musically gifted. She was an accomplished pianist and a faithful Christian. She served as an active member of First Northeast Baptist Church in Columbia, SC for several years where she played the piano and directed choirs. Lola, began her professional career as a financial specialist in the banking industry, was promoted to portfolio manager, and later branch manager. In 2003, at the age of 28 years old, Lola discovered a lump in her breast as she conducted a breast-self exam. Doctors diagnosed her with breast cancer. She was a newlywed to Gilbert Jamal Brown and a new mother to a toddler, Gilbert Jamal Brown II, affectionately known as Gil. Despite surgeries and years of chemotherapy, Lola continued to fight. She worked throughout her treatment and emphasized the importance of a healthy diet and exercise. During her spare time she worked as an aerobics instructor. She exemplified the true meaning of strength and courage and inspired others to embrace fitness. Because of Lola’s generous spirit, passion to help find a cure, and desire to promote awareness about breast cancer to young women, she put together a team of family and friends. Through the years those teams raised more than $10,000 for cancer research, for survivors, and for those she called victors. In Oct. 2013, at 38 years old, Lola became one of the victors. As a celebration of her legacy, the South Carolina House of Representatives has recognized Lola Brown and the foundation’s efforts and named October 23, 2017, the official Lola Brown Breast Self-Check Day in the state of South Carolina. Since Lola was diagnosed at 28 years old, Lola stressed the importance of early detection and breast self-exams and wanted to educate young women that they too could be diagnosed with breast cancer even under the age of 40. 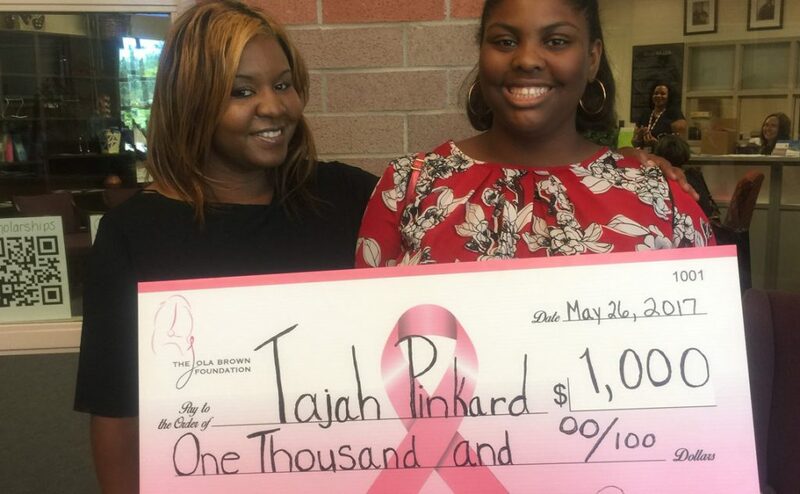 In honor of her push for awareness, The LBF is currently working with South Carolina lawmakers and school districts to educate high school seniors on the importance of breast self-exams. The goal is to have a certified health professional talk to students about breast self-exams and breast cancer. Those students can only participate in the 30 to 45 minute session if they have signed parental/guardian consent forms. Jennifer Phillips and LBF Scholar…. Pampered Pink – The LBF will identify those in need based on financial, or medical hardship through breast cancer organizations and support groups. Once identified, The LBF will pamper and assist women between the ages of 18 to 40 who are affected by breast cancer by donating a Pampered Pink spa gift certificate. I usually make my donation to the American Cancer Society on behalf of breast cancer awareness during the month of October, but I missed doing so this year as I was out of town. However, this year, to support The Lola Brown Foundation, I will be making my donation to the foundation and you can too by clicking on this Paypal link! Although October will be over in a few days, the foundation’s work continues throughout the year so please consider The Lola Brown Foundation as you give to charitable organizations. 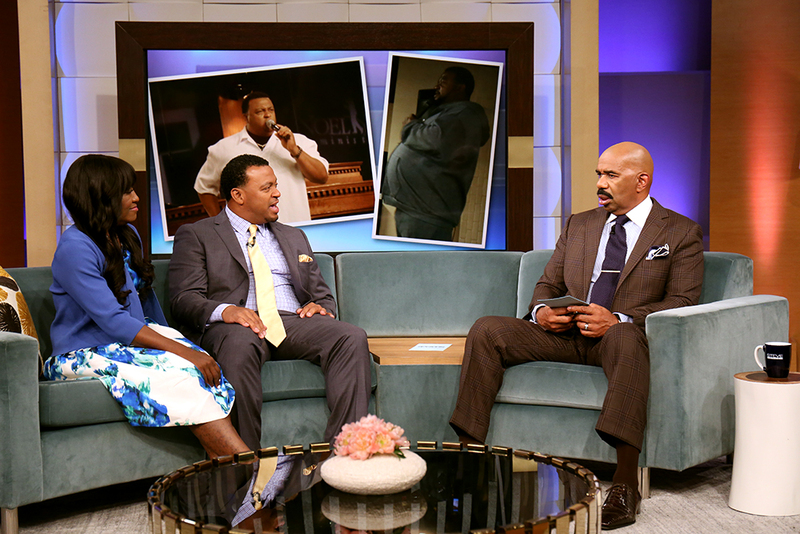 Pastor Who Loses 130 Pounds to Save His Wife’s Life To Appear ‘Steve Harvey’ Tomorrow! Whether it’s the black church or the white church, probably whatever church, we love our potluck dinners! Food and the Bible seem to go together…something about tasting and seeing that the Lord is good :)! But one pastor was willing to push back from the potluck and lose weight so that his wife could live…When Pastor Hosea Collins of the City of Refuge Church in Gardena, California found out that his wife needed a kidney, he immediately volunteered one of his own. Because of his weight, he was deemed an ineligible candidate to help save his wife’s life. Collins went from 352 pounds to 222 pounds for a total loss of 130 pounds, solely by watching what he ate, adhering to Dherbs.com cleanse regimens and continually exercising. At his new weight of 222 pounds, Collins was recently admitted into a kidney swap program. Whether or not he is a match for his wife, he will still donate a kidney and the program will find her a replacement. He has fully turned his life around and plans to continue his weight loss quest to reclaim his high school weight of 200 pounds. The pastor is now devoted to assisting others, helping them find self-fulfillment, or helping them to unlock a God-given purpose. His belief is that every person can use this purpose to make a difference, and that’s exactly what he did. Tune in to “Steve Harvey” on June 6, 2016, to hear Pastor Hosea Collins’ story as he appears as a guest, along with his wife, Terrekia Collins. “Steve Harvey” airs weekdays. Check local listings or go to http://www.steveharveytv.com/ for time and channel. Below is a video from the show.